In the age of digital photography, it’s easy to take so.many.pictures. We have smartphones, our family members have smart phones, and we have big cameras. With everyone snapping photos, we end up with hundreds at the end of every week, month, year. To wade through them all is a task not for the faint of heart. And so, we let our photos pile up on our phones, SD cards, or hard drives, and never make prints. And I think that’s a shame. Enter, the photo yearbook. Each year, I create a book that’s a fun reflection of the highlights of that year–trips, projects, accomplishments, and activities. 1. Find a deal. Scour the internet for a bargain on a hardcover book in the size you want (I usually look for 8×11). Discounts are readily available via Living Social, Groupon, or by checking your favorite printing source (I love Snapfish!). You have plenty of options, and many of the big-name ones have great online software allowing you to drag and drop photos and design elements. 2. Get organized. 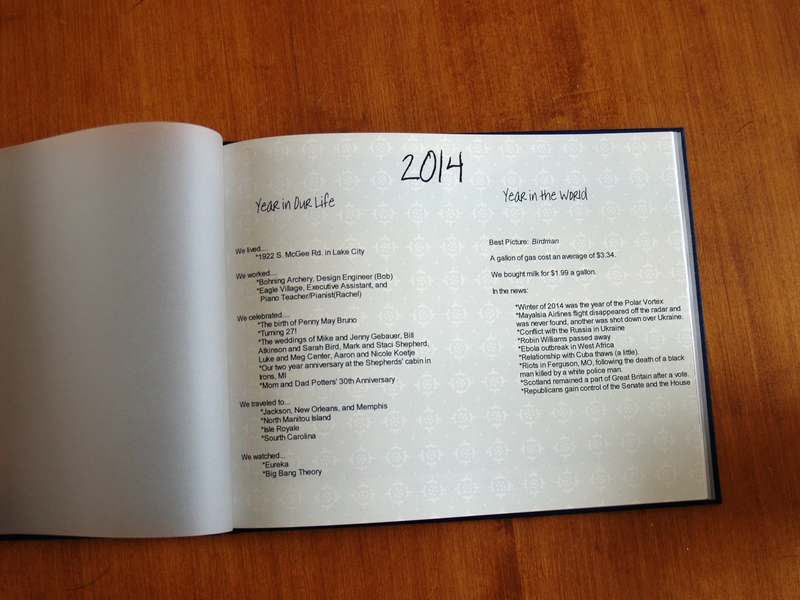 Make a list of all of the year’s events you want to include and the approximate amount of pages you can dedicate. This small amount of foresight will keep you from getting 75% of the way through the book but only 10% through your photos. 3. Pick the best. Upload the year’s best photos into the software. This is the hardest part–wading through a nearly endless amount of phone pictures and camera pictures to find the ones I want to include. Do yourself a favor and upload only the finalists–the favorites of the favorites. It will make designing so much easier! 4. Design! Drag and drop your photos into different templates, add backgrounds, design elements, and text (or don’t). I try not to get too perfectionist during this step. 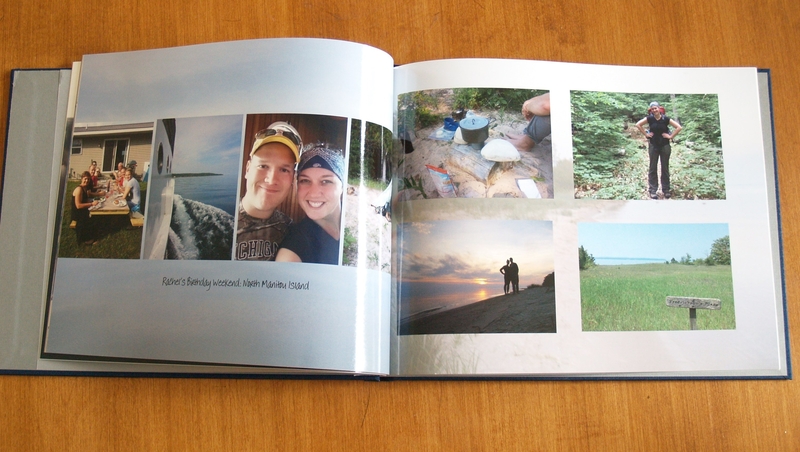 The point is the photos you’re printing–not that you slaved over a layout for 3 hours. In order to document things that aren’t photograph-able, I put a text page in the front. I include some fun info about our lives (what our families/close friends are up to, what we do for employment, our favorite TV show, etc.) and the state of the world (big current events, average price of gas, cost for a gallon of milk, etc). Even though we’re only a few years in, it’s fun to flip back and read! Are you convinced yet? I hope so! If a full year of photos is too overwhelming, create books by occasion. I have a separate book for our wedding, and I’m working on a book of our trip to Italy. You’ll get there, and it will be worth it. Promise! If you’re interested…taking better pictures and making a vision board.